We are a fully licensed electrical contracting firm serving New York City and New Jersey. 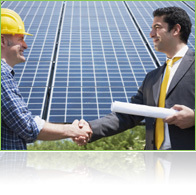 We also offer professional services that can assist your company to meet the demands of the growing renewable energy sector. At All‐Star we pride ourselves on the commitment and quality of all our Employees. We always strive to exceed our customer’s expectations and provide the highest quality solutions. We welcome you to explore our website to learn more about our company and services that we can provide. All-Star Electrical Services provides electrical maintenance and repair services to a number of business’s and property owners. Our efficient service provided and sensible honest rates mean our customers continue to appreciate our company values. Don’t hesitate to Contact us to discuss any need or services you may require. Copyright © 2011 All-Star Electrical Services, Inc. All Rights Reserved.